What Exactly Is The Chromebook’s Competition? I might be an Apple fanboy, but I absolutely have to give credit to Google for doing a tremendous job with the new Chromebook. These new devices really do define an entirely new category of computers. They are not exactly netbooks, at least not yet. 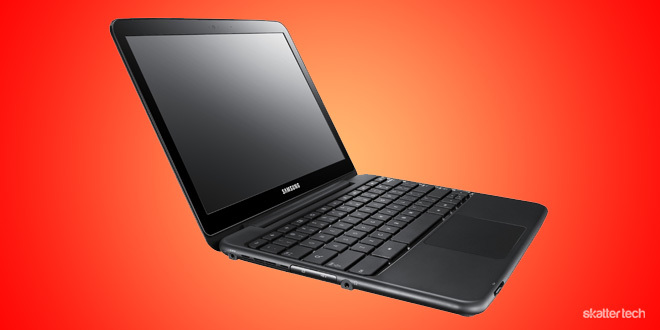 Up until now, Windows-based netbooks have sacrificed power for ultra-portability. For those who are not familiar, Chrome OS is computing simplified to just the web. Unlike a traditional operating system, Chromebooks do not have the broad feature set that a desktop computer offers. They run Chrome OS, which really focuses on putting your entire PC experience onto the cloud. I praise Google for being the first to pull through with this. So now that this infamously delayed operating system is here and installed on these branded notebooks, the question must be brought up: what market are they going to compete with? Most have been arguing that Chromebooks will effectively wipe out all netbooks. They both have the same portable form factor and the same price range (around $400 – $500). Presumably, netbooks would be the target, right? Well, not exactly. I truly believe — contrary to most critics — that the software is really what makes the gadget. Specs are important too, but are meaningless if accompanied by a poor OS. In this regard, Chromebooks and netbooks are worlds apart. Chromebooks do not have nearly as much functionality as netbooks do right now. Take for instance Adobe Photoshop. A widely adopted application (albeit expensive) for its unparalleled set of photo-editing tools, it can not be replicated on the web. Native apps have much more power and potential and consumers, particularly in certain fields, need those qualities in order to stay productive. This alone can be the deal-breaker for consumers who are flummoxed on which to buy. And it will be the deal-breaker for many. When traveling, netbooks bring an entire computer with you. Chromebooks just bring the Internet. As incredibly worthy as that may be, it remains limited. The main competition for a Chromebook clearly is not a netbook. Google actually believes that these devices can replace laptops. For consumers who do not spend much of their time using anything other than the Internet and do not want to shell out a ton of cash, this is plausible. But if this is the case, why not just buy a tablet? That brings me to my main point. 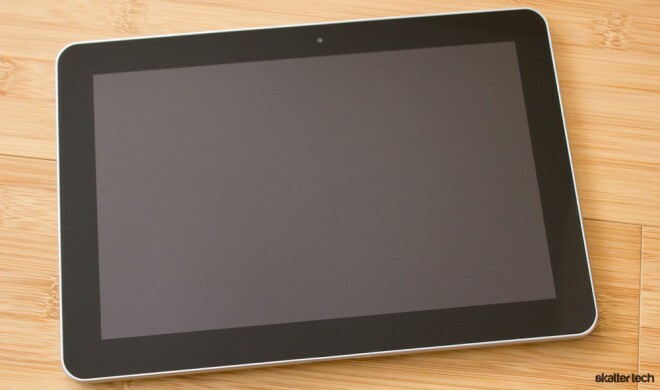 Tablets are going to be the main competition of Chromebooks. Not only do tablets share the same ultra-portable form factor and price range of netbooks, but they also have the same capabilities. Chrome OS boots up quickly. iOS and Honeycomb boot up quickly. Chrome OS has the Web Store. iOS and Android have the App Store and Android Market, respectively. Chrome OS can not run the powerful applications which desktop operating systems like Windows and Mac OS X can. Neither can iOS and Android. There is a clear pattern here. Chromebooks and tablets are more similar than people think. To be blunt, neither are necessities at this point. They can not replace laptops or desktops and they obviously can not replace smart phones. These are just add-ons to the average consumer’s growing collection of gadgets. Mark my words. Come June when the general public gets their hands on Google’s sleek new toys, they aren’t going to be looking at netbooks and trying to make a decision between the two. Those dreadful little machines died as soon as Steve Jobs gave a demo of the iPad back in January 2010. In one hand will be a compact and robust Chromebook and in the other will be a shiny and capable iPad. $500 is tucked away in a wallet. Time is ticking on. Which gadget will rise up above the other as champion? I do not think application softwares will be a problem. Software companies are not stupid. Newer versions of applications for google chrome will be available very soon. The main issue is that people currently do not trust the safety of the cloud. If google is smart enough, their chromebook should be a hybrid product. People can save their important files, like work or tax files, on the hard disc or a portable disc. On the other hand, unimportant and big files, like music or movie files, can be save on the cloud. Sure, but isn’t the lack of local storage really one of the key features that separates the Chromebook from regular laptops? Chromebook is a cloud computing. It take less time to boot up your chromebook. False. Go to http://www.aviary.com there you will find photo editing software, multi-channel recording software, vector image creating software, mixing software, all for free. It all works in browser as well, via chrome web store. So I guess if you use Safari or Firefox then yes, what you are saying is a reality. Fortunately that is not the real world. The real world has many more possibilities. Another example: Google Docs. Not nearly as intensive as photo editing, but still it makes native programs like Microsoft Office and OpenOffice obsolete. In the same vain, 280slides is another great, free, in-browser solution for making powerpoint presentations. The presentations in my opinion look much nicer than what can be made in microsoft powerpoint. Also, you need to look towards the future and what is being developed right now. For example html 5 and by extension webGL show some major promise for the future of browser based programs. As for the iPad……let us talk about browser software. Can the iPad handle flash????? FLASH. COME ON. At the moment the iPad is the shiny device which everyone wants, but wouldn’t know how to utilize like they could a chromebook. It will continue to be the shiny object for some time unfortunately, which does not bode well for the chromebook. As a student, 95% of my time on computers is spent inside the chrome browser. The other 5% is spent logging on to a computer in a computer lab, and opening chrome and activating chrome sync. I do not need anything else. ANYTHING. All my needs are met by Chrome alone, so why not just cut out all the stuff I don’t need like a huge OS running native software when I could just run the same things in browser? PS I have a keyboard, tablets don’t and that severely limits the usability. For example if I was on a tablet I wouldn’t have even taken the time to write this response because it would have taken so much longer. Mark my words. Tablets are a luxury item. They are showy, and time consuming. Any professional, take yourself for example, would rather work on a laptop or netbook or chromebook or whatever than have to deal with the lack of a keyboard. If you are right then I suspect that you wrote your article on an iPad because they are so much easier to type on? I expect that if you didn’t you will switch over to that style of writing soon. Oh you are absolutely correct on tablets being luxuries. But so are Chromebooks. And those examples you mentioned like Aviary and Docs, they still aren’t nearly as extensive as native apps. That doesn’t necessarily mean they couldn’t be as extensive, it just means they aren’t yet. And as for typing on an iPad, I think you’d be surprised how fast typing is. I’ve typed a 2,000 word review for the iPad in the past. I’d say it’s almost as fast as any laptop. As I stated, Chrome browser is all I need in a computer for every day use. I do not need anything else. Looking at it from that point of view, It is the most basic essential for me, not a luxury In fact it is the opposite of luxury. It is dedicated to a single function: the internet. Sure, I cannot use my CAD software in browser. But that’s why you have a dedicated work computer, and a portable tie to the world that you can use for everything else. Did you look at the featured pictures on the aviary website? pretty damn impressive for not being extensive. I am sure that most professionals would get by just fine on this software, and be willing to for the nice price tag associated with it (free). sure, for many people just a browser is enough, but for a lot more people it isn’t. for those people the chromebook and the tablet are just luxury and quite expansive luxury compared with the devises that can do a lot more and are often the same price. There’s been some mummors of Adobe doing just this – running a cloud based Photoshop, with excessively large rendering happening in seconds on server side and charge a subscription for it. I’m a big Apple fanboy too, but don’t have a huge interest in an iPad. While undeniably slick, I do more and more stuff on the Web these days AND prefer using a mechanical keyboard. In that regard, a Chromebook is a netbook alternative to me, and an iPad isn’t really a factor. Maybe I’m too old school, but it is what it is. Chrome books won’t be anything special. They are too web dependent. Being that they are NOTEBOOK computers, they will be too cumbersome for most consumers when comparing them to tablets that do pretty much the same thing with more portability. These chrome books will have a market but it will be a notch market which will be very small. Most businesses and consumers have or will be replacing their desktops with laptops now that laptops have become just as powerful. Chrome books in many ways is a step back. I think the real target for Chromebooks/Chromeboxes is the traditional desktop/laptop. Tablets are fine, except when you want to type a lot. Netbooks are small and more portable. Chromebooks are really aimed at the luggable laptop for staff who travel between offices or move between offices most of the time or home users who spend most of their time on the Internet, where WiFi is reliable. Chromeboxes are direct replacements for PCs in offices. In the office context, Chrome OS can replace desktops/laptops for information workers, sales staff who are on the move, or office staff who don’t need a high end desktop workstation (graphics artists, CAD technicians, design engineers mainly). Staff will use Office 365 cloud service and Windows desktop virtualised on a corporate server using Citrix or VMWare connector for non-graphical intensive applications. The big benefit for a company is server consolidation of all data.